MANILA--It seems like it's not yet the "tamang panahon" to crown the champion of the PFF Women's Invitational Cup. 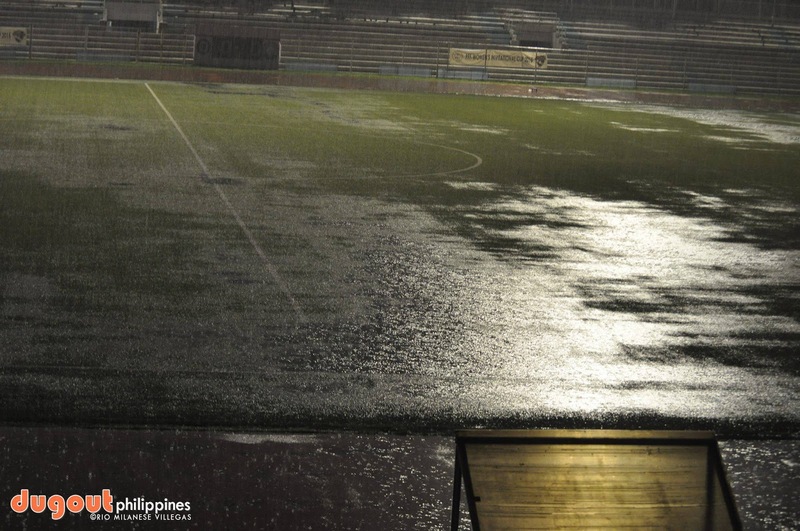 Heavy rains brought about by a thunderstorm drenched the Rizal Memorial Stadium, prompting the postponement of the championship match between La Salle and FEU on Sunday night. Thirty-two minutes into the game, the officials decided to halt action as the rainshower became heavier by the second. 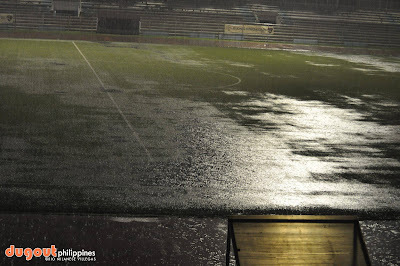 As the downfall continued and the pitch became more flooded, they officially declared the rescheduling of the match 30 minutes after play stopped. Barring bad weather conditions, the final will now be played next Sunday at 4 p.m. at the said venue. However, the crowd could not even get out of the stadium after the announcement. One spectator tried to contact the stadium security to open the other pathways as the main gate, which is located beside the Ninoy Aquino Stadium, was not passable. The people just got out of the stadium around 7 p.m., an hour after the suspension of the game.